This time, we are going to Pulau Kapas, Terengganu for a specific mission: Squid Jigging! Squid jigging has its own season, which normally runs from April to June so make sure you do some checking with the local operators before heading straight to the island. The nearest town to Pulau Kapas is Marang and you can park your car overnight at the jetty, then take a boat transfer to the island. It is just a 15 minute bumpy ride on a speed boat, which is great for those who are prone to get seasick. 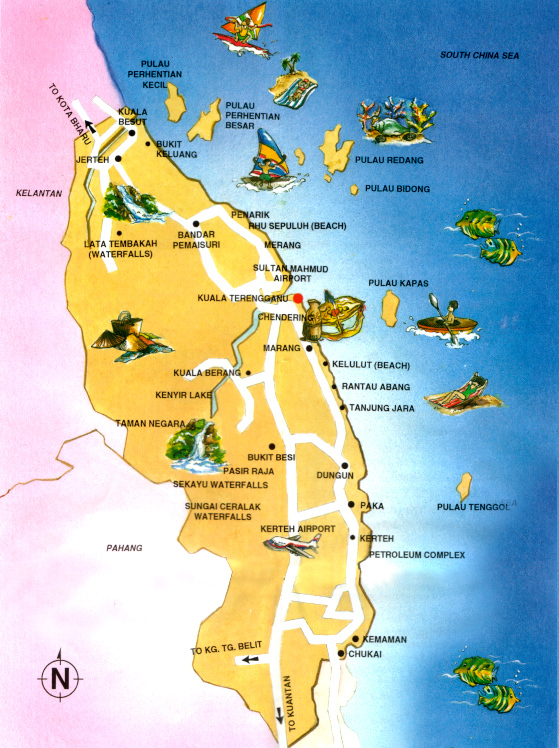 Pulau Kapas is smaller and less happenings if compared to Pulau Redang or Pulau Perhentian. This is a perfect place for you if you would like to spend a day or two to unwind on the beach and soak in the serenity of the nature. Look at the crystal clear water! Our budget accommodation for the night is Pak Ya Sea View Chalet. Nothing extravagant, but totally love it! It is a simple hut that’s located just right in front of the beach. The only drawback is that there is no air-conditioning provided and it can get pretty hot during the day. Evening approaching and it’s time for squid jigging. Do embrace yourself with continuance, non-stop sea waves when the boat comes to a complete stop for you to jig the squid. Even with the seasick pill, we did not last long and give up before midnight with only one squid for our total catch. Thought of having a squid feast for the night? We ended up sharing one squid over 8 people. Next day, we decided to take a stroll around the island. Since there wasn’t much to explore on the other stretch of the beach (only chalets and restaurants), we signed up a snorkeling package with our chalet. And, the kampung boy is taking us on a fishing boat! Our boat captain even offered to bring us to the seclusive and luxurious Gem Resort as they have a turtle in their keep.